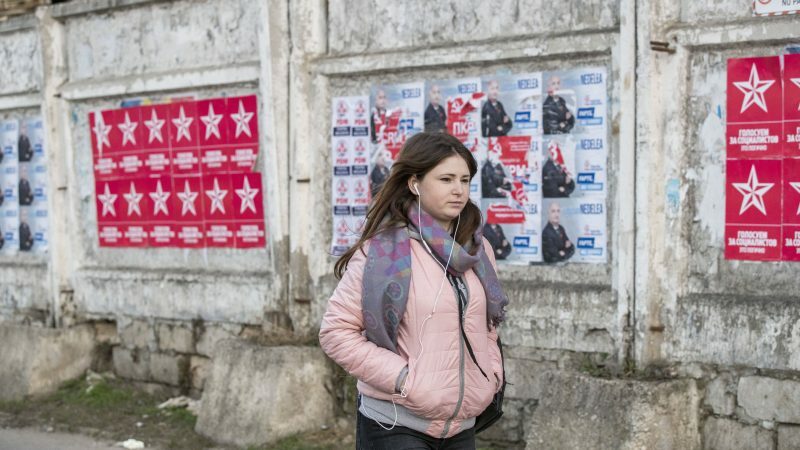 Voters in Moldova head to the polls on Sunday (24 February) for a parliamentary election reflecting the tiny ex-Soviet republic’s long-standing division between pro-Russians and pro-Europeans. Wedged between Ukraine and Romania, Moldova has struggled to find its place since gaining independence with the 1991 collapse of the Soviet Union. 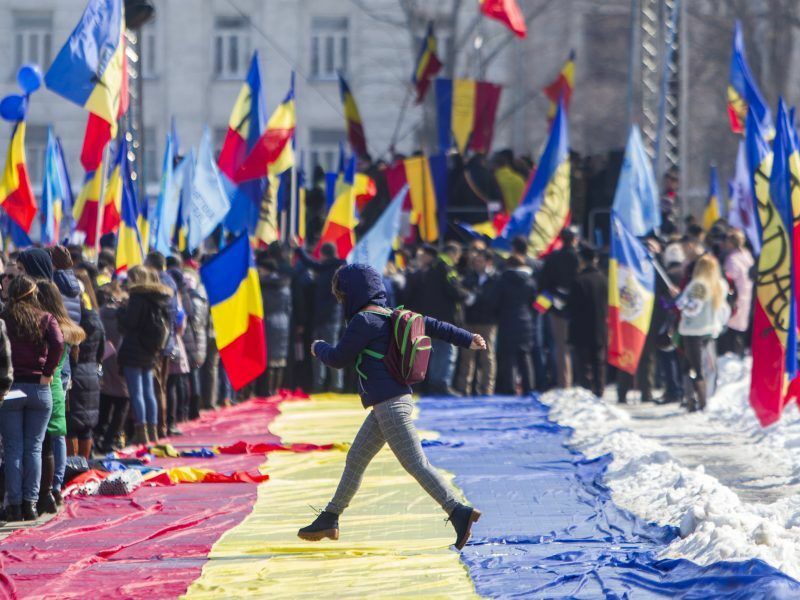 While many in the country of 3.5 million want to maintain close ties with Moscow, others want to follow the example of Romania — with which Moldova shares a language and long history — and look west to the European Union. Romanian lawmakers expressed support for reunification with neighbouring Moldova in a symbolic vote on Tuesday intended to highlight close historic ties, but the speaker of Moldova’s own parliament said his country cherished its independence. Sunday’s vote is shaping up as a three-way race between the pro-Russian Socialist party of President Igor Dodon, the ruling Democratic party and a pro-European alliance. It will be held under a new electoral system that divides the 101-seat parliament into seats elected by party lists and by individual constituencies. 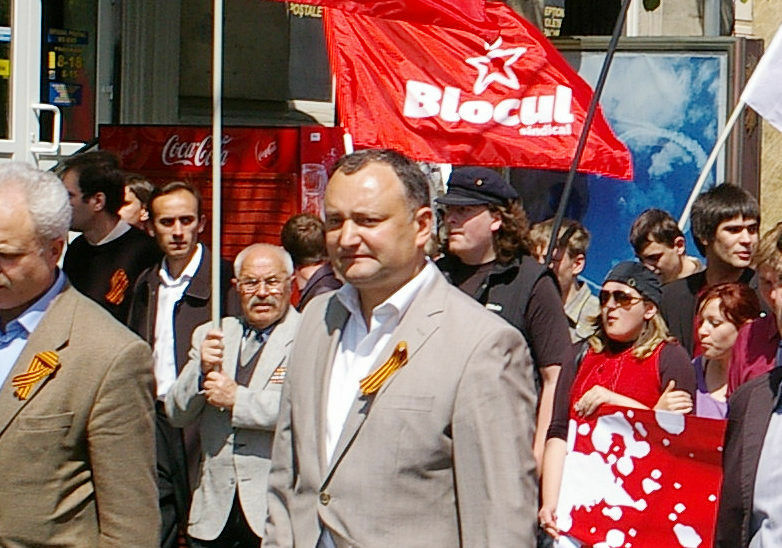 Dodon’s pro-Moscow party is leading in the polls, advocating for Moldova to join Russia’s Eurasian Economic Union over the EU. The Prime Minister of Moldova Pavel Filip has sent an angry letter to the country’s pro-Russian President Igor Dodon, qualifying as “reckless” his request for observer status to the Moscow-led Eurasian Union and for the signature of a Memorandum of Understanding with this organisation. The alliance of pro-European parties, which favours joining the EU and NATO, comes second. In third place is the centre-left Democratic Party led by powerful oligarch Vlad Plahotniuc, which holds a majority in the current parliament and leads the government. It has pursued a balanced approach between Moscow and Brussels. Campaign posters in Russian and Romanian hang over a flea market in the capital Chisinau, where volunteers from all parties were handing out leaflets to passersby this week. Voters, however, showed little enthusiasm for the polls. With corruption widespread and the country among the poorest in Europe, few have much trust in Moldova’s politicians. “They are all liars and thieves,” said Tatiana, a 60-year-old former factory worker, complaining of a pension of less than 50 euros per month. Macar Naghirnaec, a 23-year-old NGO worker, said it has hardly surprising that voters had little faith. “Moldova’s democracy is getting worse. People who were convicted by a court will get to parliament,” said Naghirnaec. Many cited the example of businessman Ilan Shor, who was convicted in a billion-dollar fraud case dubbed Moldova’s “crime of the century” and is likely to make it into parliament. Shor remains free pending an appeal, but critics say the fact that he is allowed to stand despite his conviction is a damning indictment of Moldova’s political system. Analysts fear a new period of instability for the country after the vote, with no party likely to gain the majority needed to form a government. “With political apathy and distrust of politicians, there is a risk of weak participation,” said Igor Botan, the director of the ADEPT think tank. Moldova signed an association agreement with the EU in 2014, but last year Brussels reduced its financial aid to the country citing a “deterioration of the rule of law”. Russia has meanwhile rallied Dodon, a close ally of President Vladimir Putin. Moldova’s president said today (17 January) he hoped the ex-Soviet state’s Association Agreement with the European Union would be cancelled if his party obtains a parliamentary majority, paving the way for an alliance with Moscow. “Of course, Russia is not indifferent to the formation of the Moldovan parliament,” Putin said after a meeting with Dodon in Moscow last month. As well as seeking to keep Moldova in its sphere of influence, Moscow has long backed separatists in the country’s Russian-speaking breakaway region of Transnistria. Russian Security Council chief Nikolai Patrushev has warned that the West could be seeking to stoke divisions in Moldova, pointing to the pro-EU revolution in Ukraine that ousted a Moscow-backed leader. Russia is European and the EU isn’t ‘Europe’.